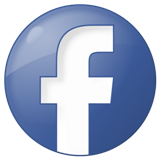 There are eight species of whales that frequent the cold and icy waters of Alaska. The Beluga,	Humpback, Gray, Orca, Bowhead, Blue,	Right, and Minke whales. Though killer whales, also called orcas, are considered whales by most people, they are actually members of the dolphin family. Killer whales are excellent hunters that a wide range of prey, including fish, seals, and big whales such as	blue whales. Despite their hunting of other animals, free-ranging killer whales have never been reported killing a human being. The orca is a stout, streamlined animal. It has a round head that is tapered, with an indistinct beak and straight mouth line. 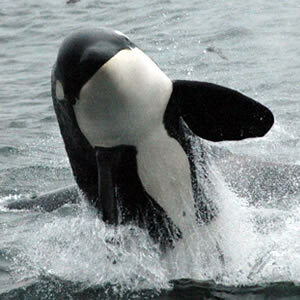 The orca, or killer whale, with its striking black and white coloring, is one of the best known of all the cetaceans. It has been extensively studied in the wild and is often the main attraction at many sea parks and aquaria. An odontocete, or toothed whale, the orca is known for being a carnivorous, fast and skillful hunter, with a complex social structure and are found in all the oceans of the world. Sometimes called "the wolf of the sea", the orca can be a fierce hunter with well-organized hunting techniques.. Killer whales are often compared to wolves because both species are top predators, maintain complex social relationships, and hunt cooperatively. Males can grow as large as 32 feet long and weigh 8 to 9 tons. Females can reach 23 feet in length and weigh up to 4 tons. To sleep they take catnaps on the surface of the water. The mouth of the orca is large and has 46 to 50 conical shaped teeth that point slightly backwards and inwards. The upper and lower teeth interlock, which aids in gripping large prey and tearing it into smaller pieces for easier swallowing. The orca is found in all the oceans of the world, though they are more abundant in cooler waters. Unlike some other species of whales, which follow a regular migration route each year, the orca seems to travel according to the availability of food. 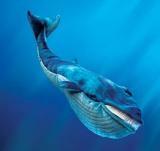 They are one of the few species of whales that move freely from hemisphere to hemisphere. Orcas due to their size and color are magnificent creatures. To some, killer whales look exactly alike however they can be distinguished from one another by the shape and size of their dorsal fins, the distinctive grayish-white saddle patches behind their dorsal fins, as well as distinctive scars, nicks and marks on their dorsal fins. They often swim in larger pods than due humpbacks, so when you see one there are usually more near by. Orcas are often spotted in the Gulf of Alaska and its sheltered bays, where visitors can also spot other sea mammals such as seals and otters. Killer whales are social animals that live in stable family-related groups. 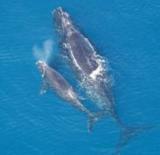 During the summer months, you often see new born calves with their mothers and fathers. Both parents stay to help care for the young calve. Killer whales display a high level of care for their offspring. In addition to the mothers, various pod members (mainly adolescent females) perform most of the care for the calves. As with most mammals, killer whales are very protective of their young. Orca are curious about humans much like other dolphins are and have been quickly trained to do tricks when brought into captivity. Trainers believe them to be much more intelligent than other kinds of dolphins. They are believed to have all the senses of humans with the exception of smell.